Frederick Williams holds a graduate degree from Indiana University. He worked on Capitol Hill for Senator Birch Bayh as a legislative aide. 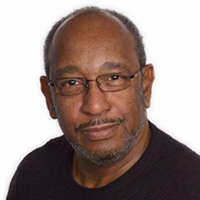 Mr. Williams assisted in the drafting and management of the first Senate legislative proposal to make Dr. Martin Luther King, Jr.’s birthday a national holiday. He also assisted in the creation of the African American Studies minor at the University of Texas at San Antonio. He designed and taught a number of classes to include, African American Political Thought, African American Politics, African American Literature from Phyllis Wheatley to the Black Arts Movement, Politics of the Civil Rights Movement, and a course on Novelists of the Harlem Renaissance. He also taught a creative writing course at the university. Professor Williams was named one of the four recipients of the “Men of the Year Award,” by San Antonio Magazine. He was also the recipient of the 2011 Arts and Letters Award from the Friends of the San Antonio Public Library. Your article titled “Sanitizing History” hit on some very important points about how we communicate our history to the generations that follow. This distortion of our (America’s History) for there is no American history without the “peopling” of the North American continent. Your suggestion to carry the truth of this complex history to every segment of institutions particularly the church, rings true in regards to the Church’s calling of reconciliation.